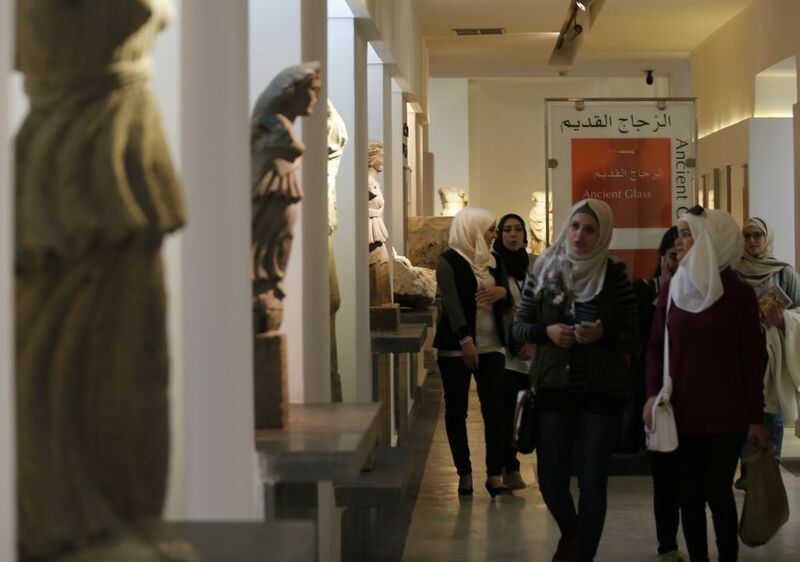 A portion of Syria’s renowned national museum in Damascus reopened to the public last weekend after remaining shuttered since 2012, as the government pushes to increase tourism and return to normalcy despite ongoing conflict in parts of the country. Most of the museum's exhibits were removed and kept in secret locations for their protection, the BBC reported, as a bloody civil war escalated and rocked the entire country. More than 350,000 people died as a result of the seven-year conflict, with more than 11 million internally and externally displaced. 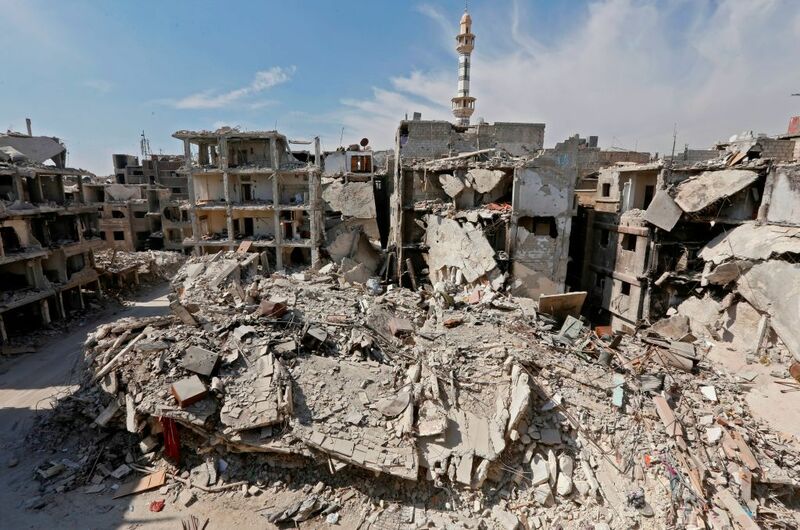 But the forces of Syrian President Bashar al-Assad secured the capital, Damascus, and the regime has taken steps to promote investment and tourism while the last bastions of rebel fighters were targeted. 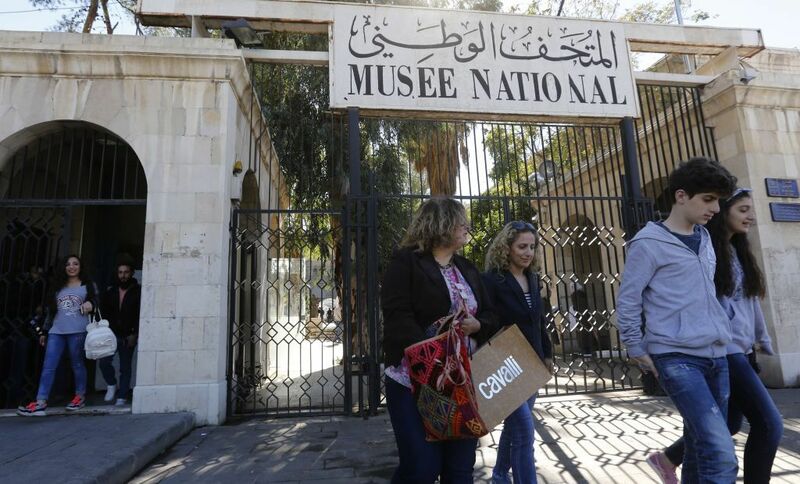 The museum’s opening sends a "genuine message" that the country's rich cultural heritage was not destroyed by "terrorism,” culture minister Mohamed al-Ahmad said, the Associated Press reported. Many cultural sites were destroyed during the war, with the Islamic State (ISIS) famously detonating some of Syria’s most prized historical treasures. Regardless of the ongoing conflict throughout the country, the Syrian Ministry of Tourism moved to promote the Middle Eastern nation at international exhibitions and through social media. With information posted in Arabic and oftentimes English as well, the ministry’s Facebook page is updated regularly with announcements about events, opportunities to work in tourism and even slick videos showing off some of the war-torn countries' touristic locations. In a video posted on Monday, the ministry promoted tourism to Homs, in western Syria. Featuring breathtaking panning shots, an epic score and shots of green mountains and valleys, it makes the present reality of war appear distant and far removed. Although the Syrian Ministry of Tourism did not respond to repeated requests from Newsweek for comment, Bassam Barsik, director of marketing for the ministry, told Agence France Presse earlier this year that his country hoped to attract at least 2 million visitors in 2018. That goal is still significantly less than the 8.5 million tourists the country saw in 2010, the year before the war broke out. Barsik spoke to the news agency while attending the Fitur International Tourism Trade Fair in Spain to promote tourism in Syria. 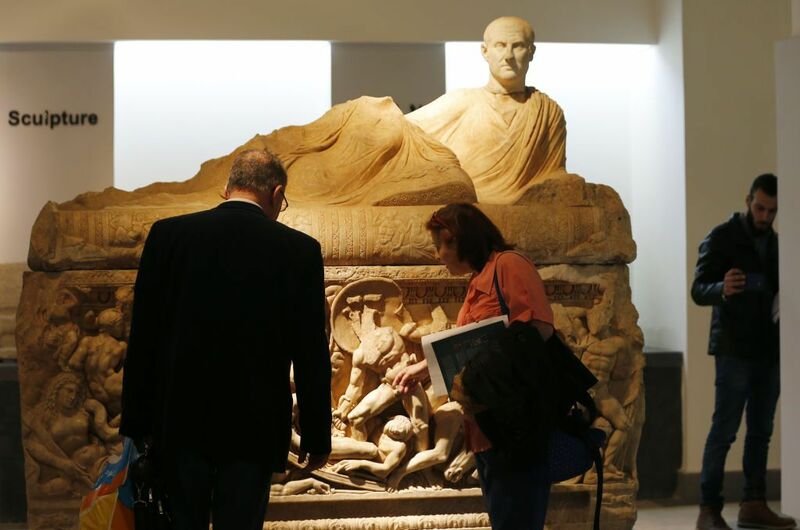 Among other sites, the Syrian exhibit encouraged would-be tourists to visit Aleppo and Palmyra, two historic locations recently occupied by the Islamic State. “This year is the time to rebuild Syria and our economy,” Barsik said, pointing out that 1.3 million foreigners had traveled to his country last year. Rand El Zein, a 27-year-old Lebanese Ph.D. student who resides in Europe, decided to visit the Syrian capital of Damascus in September after going to Lebanon to see her family. She told Newsweek that she was impressed with the city’s busy atmosphere and vibrance, even suggesting it was more livable in some ways than Beirut, where she grew up. Comparing the city to Beirut, she said residents of Damascus breathe fresher air than in her birth city. “They have more public space, green and big parks [better] than any child in Beirut could dream of,” said El Zein. Religious tourism has traditionally been important to Syria, as it is home to various sacred Christian and Muslim shrines. El Zein visited Damascus just ahead of the Islamic holiday of Ashura, and noted a significant number of religious tourists—predominantly Shiite Muslims—traveling to visit the Shrine of Sayidda Zeinab, an important mosque in the city. Kawthar, a 31-year-old Lebanese woman who preferred to be referred to by her first name only, told Newsweek that she traveled to Damascus briefly during Ramadan. She admitted that she’d previously called friends visiting Syria “crazy,” but was persuaded to visit with friends on a brief excursion as the situation seemed relatively stable. “In the old town there were crowds of locals shopping and hanging out after Iftar [when Muslims break their Ramadan fast at sunset], and it was nice to see that,” she said. However, Kawthar said she'd met many internally displaced Syrians during her brief time visiting. Asked if she’d like to return to Syria for a longer visit and to see other parts of the country, Kawthar said she definitely would. “Though we know that many of its main cities have been destroyed, it would be good to witness the revival of this country,” she said. While some tourists may venture to Syria, significant portions of the country remain under the control of opposition groups, some of which are classified as terrorist organizations by Washington and its allies. U.S.-led coalition forces continue to bomb parts of the country, and even in relatively stable areas, such as Damascus and the Latakia coastal region, the threat of terrorist attacks or bombing remains high. While some refugees have begun returning to stable parts of the country, analysts pointed out that many more Syrians continued to be displaced in other areas. Stein explained that much of the ongoing violence was perpetrated by the Syrian government against its own citizens. “Tourists must ask themselves if they are willing to spend money in an economy controlled by a regime which has contributed so much to the displacement of millions of its own citizens and the destruction of its own cities,” she said. 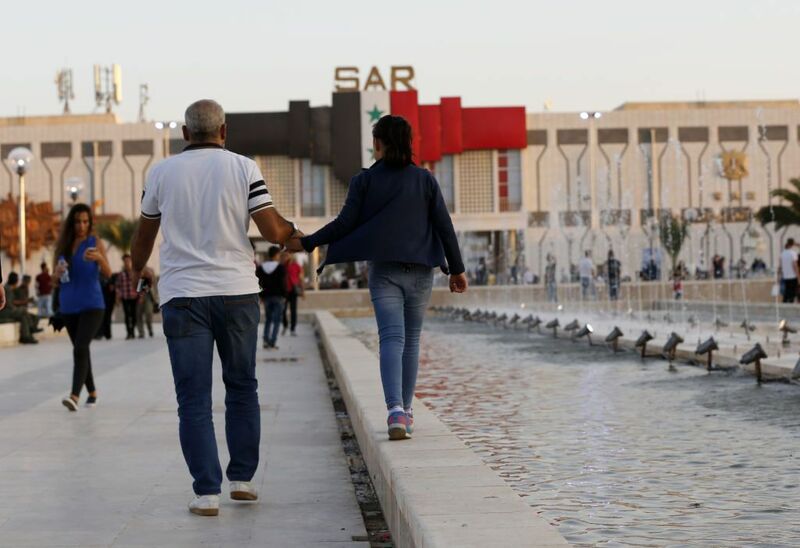 And while some Syrians have begun to return to their war-torn country as the situation appears to be stabilizing, many fear for their safety under the regime’s continued control. 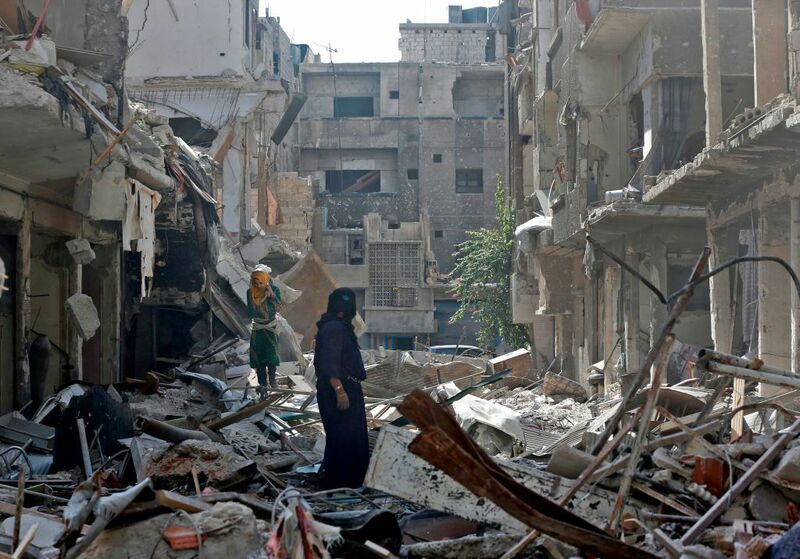 “No part of Syria is safe from violence. Kidnappings, the use of chemical warfare, shelling, and aerial bombardment pose significant risk of death or serious injury,” it warns. Most European nations advise against any travel to the country as well. However, as El Zein told Newsweek, the Syrian border still has a dedicated immigration line for those entering the country with European, American or other non-Arab foreign passports. She also noted that as a Lebanese citizen, she did not need to apply for a visa in advance, while other nationalities face different policies.